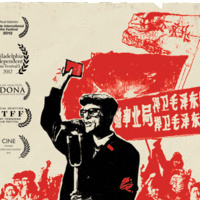 The Political Science Department of DePaul University cordially invites you to a free, public screening of the film, The Revolutionary. The screening will be followed by an audience discussion with two of the film’s creators, Lucy Ostrander and Don Sellers. Sidney Rittenberg, the film's subject, will participate via Skype. Light refreshments will be served. Space is limited, so please arrive early. If you have any questions, please contact: Phillip Stalley (pstalley@depaul.edu).